Is your church a place of grace? Floyd and Rad certainly stood out when they showed up in our tiny congregation. I had been pastoring a couple years. Obviously not from around here, they did seem familiar with church. Conversation revealed they were both from Arkansas; one from a Baptist church, the other from an Assembly of God church. Maybe they were 20 years old. My guess is they met in high school. “How can this be wrong?” He was overwhelmed with need, emotion, passion, and counterfeit love. looking for something else I could not offer. articulate my views. I’m especially dogmatic and emphatic when it comes to behavior I don’t engage in, and I can really preach against that stuff! Many of us have gone through a process to get where we are today. We used to regularly rant against “easy targets” like communists and hippies, and these days those targets have been replaced by homosexuals, transgender, and “gay marriage” (as if there really were such a thing). And some continue to rant rather than to take a Bible approach. are not just guarding our culture or doing battle with sinners. We are representing God and his grace as well as his warning. It goes without saying, those who are determined to pursue any kind of sin are not going to be comfortable or in close fellowship in a Bible-preaching church. from people they knew loved them. Is that not the spirit of Jesus? How do we communicate God’s love? How do we communicate God’s love to those who are out of bounds in any way, shape, or form? Think over-indulgence. Adultery. Consider any form of destructive behavior. What about unnecessarily angry people? How do we express God’s love to those who are way, way out of bounds? Is God’s love unconditional? Is the love I live, preach, teach, and lead our congregation to demonstrate just as unconditional? Should the church be the last place these out-of-bounds think of for seeking help? Do the kids attending our churches know these are safe places to bare their souls and share their secrets? Understand me. There is always someone reading between the lines looking for compromise if not sellout, and I am not advocating in any way changing or messing with what God says about any particular sin. 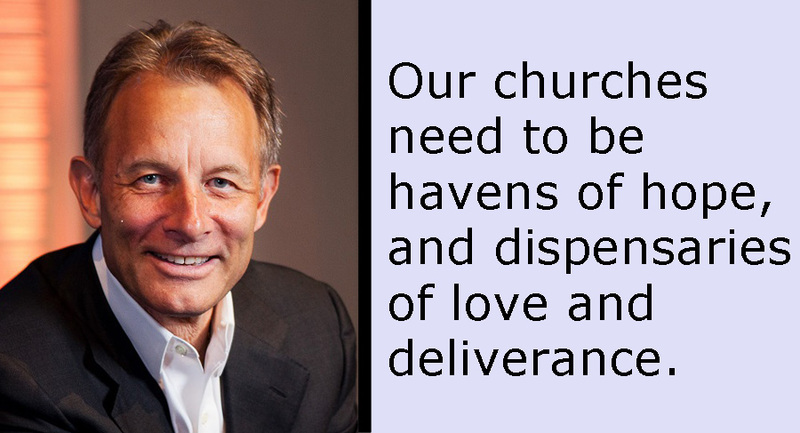 I am saying our churches need to be havens of hope, dispensaries of love and deliverance, places of grace. The rebels and unrepentants will cast themselves into an eternity without God… but they should go with the knowledge that we loved them. Those willing to believe God’s promises, trusting him for rescue, and willing to fight the flesh in fellowship with God’s people should never wonder if they have a home.